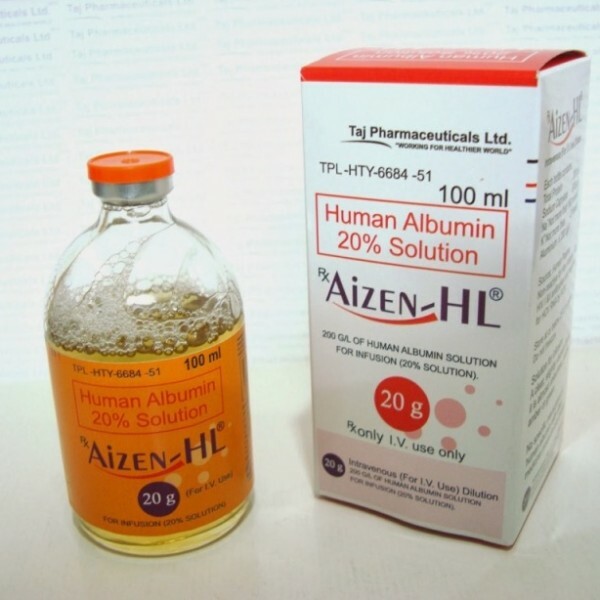 AIZEN-HL is a Plasma Volume Expander (PVE) used to increase the circulating plasma volume in blood. 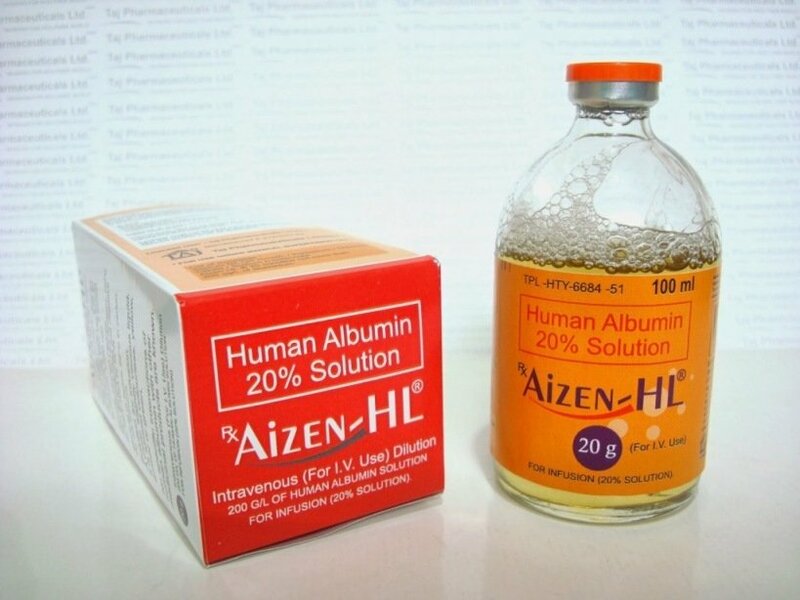 What is AIZEN-HL®TM and how does it work? 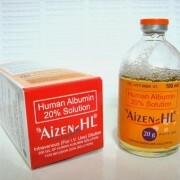 AIZEN-HL is a Plasma Volume Expander (PVE) used to increase the circulating plasma volume in blood. Albumin is the most abundant protein in human plasma and is synthesized by the liver. Plasma exchange, dialysis, burns, cerebral edema, cirrhosis of the liver, and hypovolemic shock are some the many indications where Albumin preparations can be used. 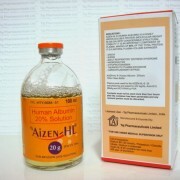 AIZEN-HLTM is available in 20% (hyperoncotic) and 5% (iso-oncotic) concentrations in 50ml or 100 ml pack size. It is given intravenously with or without dilution. In diluted form, it may be given with normal saline or 5% glucose before administration. The clinician should determine appropriate therapy after clinical assessment of the patient. Dosages differ for each indication as well. Where does Human Albumin IV come from? 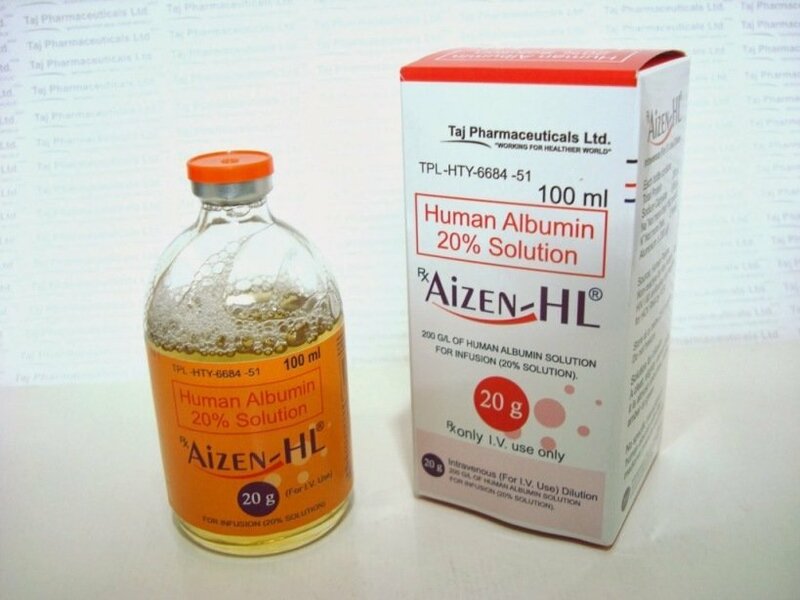 AIZEN-HL® TM comes from pooled plasma obtained from US-FDA approved blood banks and pharesis centers. It undergoes several steps and processing. Albumin is isolated using Cohn’s fractionation, a widely accepted method of extracting albumin from blood plasma. To ensure very minimal risk of any contamination, it undergoes double pasteurization. What is the risk of getting infection from Human Albumin? The risk is very remote. This is because AIZEN-HL®TM is made with utmost care and safety in mind. Aside from obtaining human albumin paste from trusted blood banks, the purified albumin bulk is pasteurized at 60 oC for 10 hrs. Any presence of bacterial or viral contamination is checked using polymerase chain reaction (PRC) technology of TAJ PHARMA. The final filled product once again undergoes viral inactivation by pasteurization at 60 oC for 10 hrs (double pasteurization) and is checked for any contaminant via PCR. External agencies are also involved in process validation. 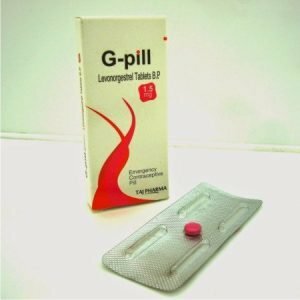 TAJ PHARMA (manufacturer) ensures that their facility conforms to the World Health Organization (WHO)-Current Good Manufacturing Practices (CGMP). Throughout the manufacturing process, aseptic technique is observed. 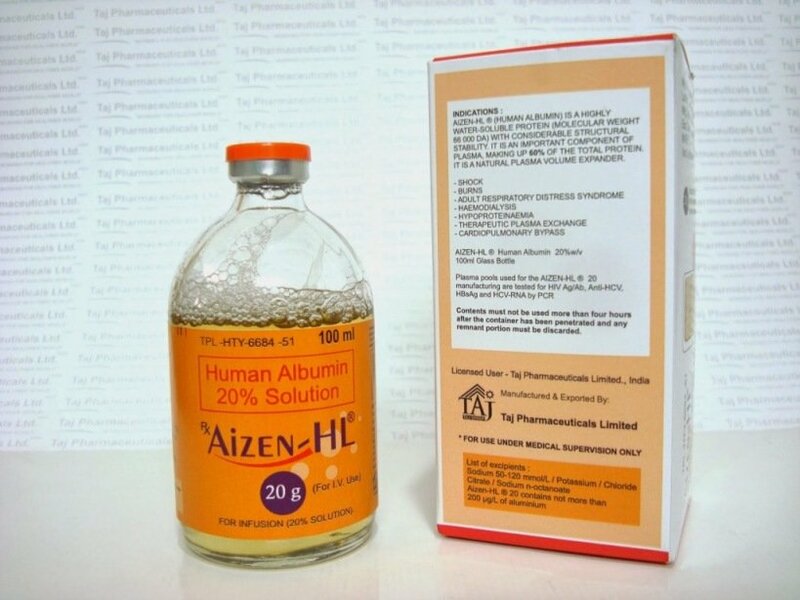 Stringent quality control like sterility, pyrogenicity, and toxicity of final products is guaranteed in every AIZEN-HL®TM vial. Albumin is part of the normal blood component. It is most abundant in our plasma, contributing to what we call “oncotic pressure”. Oncotic pressure is the tendency of a substance—one very good example is albumin— to draw water towards its concentration. So if a person who has low blood volume (hypovolemia) is given albumin intravenously (directly in the blood vessel), then the albumin draws or attracts the water or fluid to go inside the blood vessels. This contributes to the volume expansion and subsequent elevation of blood pressure. These are just some uses or indications for giving human albumin—hypovolemia, hypoalbuminemia, hepatorenal syndrome, hyperbilirubinemia, ascites, spontaneous bacterial peritonitis, liver cirrhosis, subarachnoid hemorrhage, and sepsis.